EAME is pleased to announce that its Managing Director, Steve Rowan, has been appointed to the advisory board of the Journal of the Planner and Development. This journal is published by the Center of Urban and Regional Planning for Postgraduate Studies at the University of Baghdad. Steve commented ‘it is an honour to be appointed to the board and associated with the Journal. I think proper urban planning and regional strategic development plans are essential to the growth of Iraq. 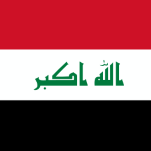 I get the sense that things are starting to progress in Iraq in a positive way from a development perspective’. EAME is an environmental consultancy based in UK and Iraq who offer a range of environmental services including Environmental and Social Impact Assessment (ESIA), contaminated land risk assessment, investigation and remediation, geotechnical site investigations, metocean studies, environmental auditing and environmental monitoring. Earth & Marine Environmental Consultants Limited is a company registered in England and Wales. Registered number: 7256990. Registered office: Fron Fawr Farm, Llanfairtalhaiarn, Abergele, Clwyd, Wales, LL22 8DJ, UK. ©2018 EARTH & MARINE ENVIRONMENTAL CONSULTANTS LIMITED.